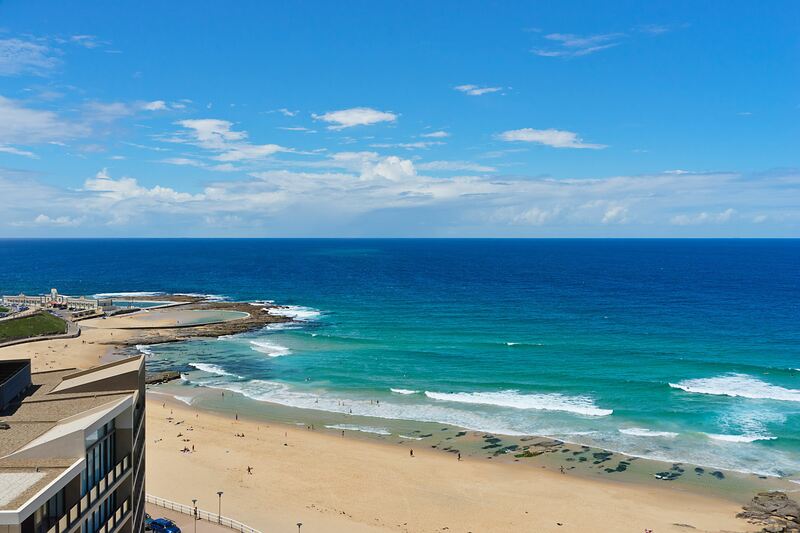 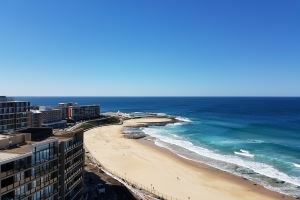 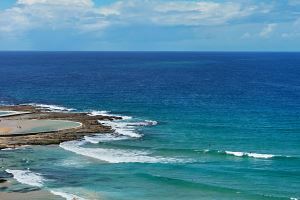 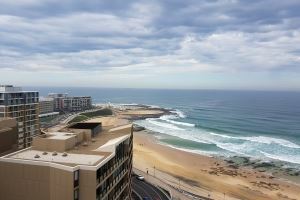 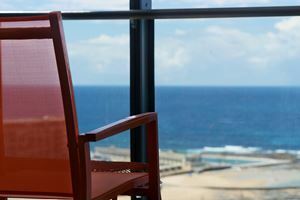 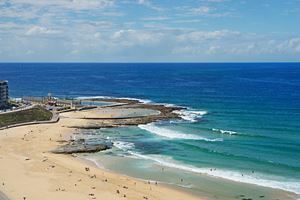 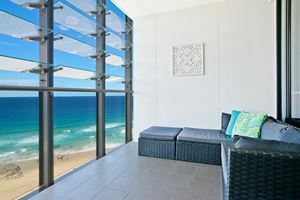 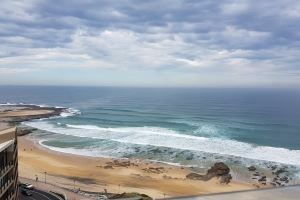 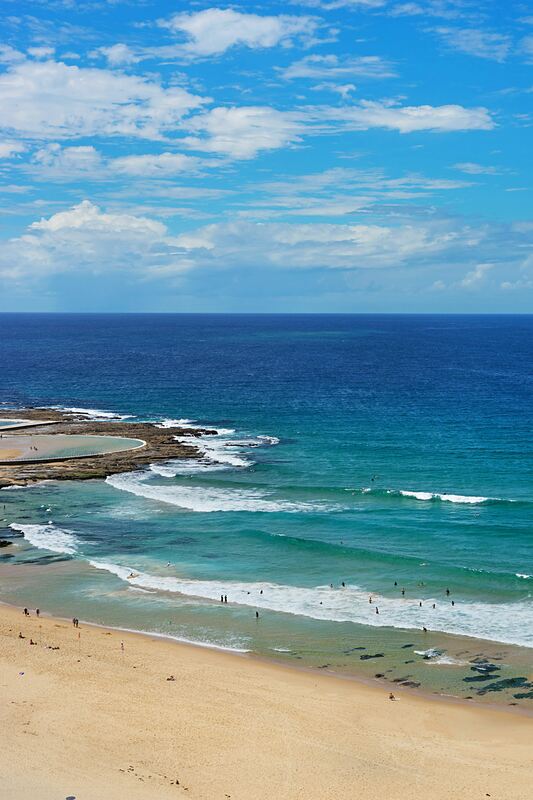 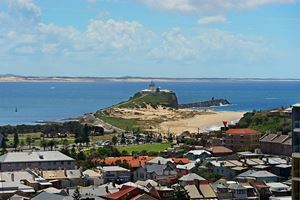 Horizon 2 Bedroom Apartment is on the 10th floor overlooking the beautiful Newcastle Beach. 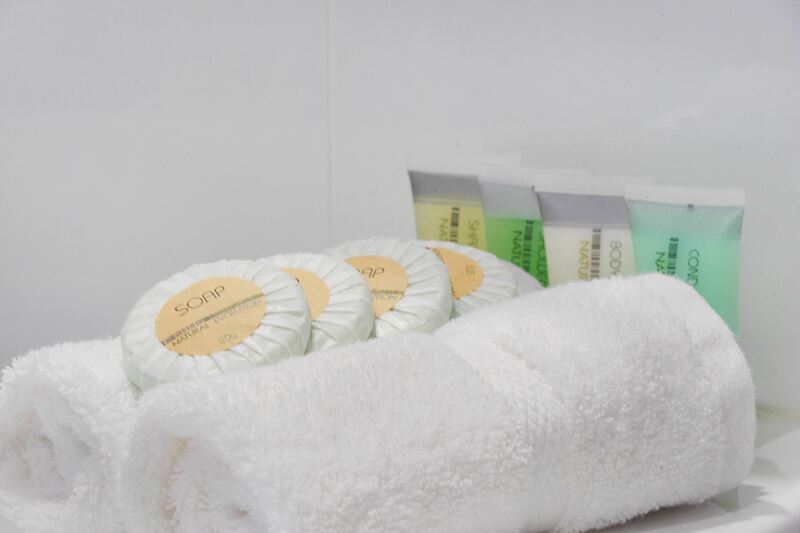 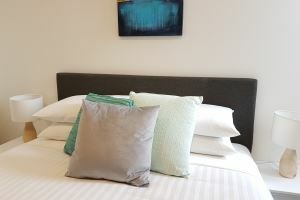 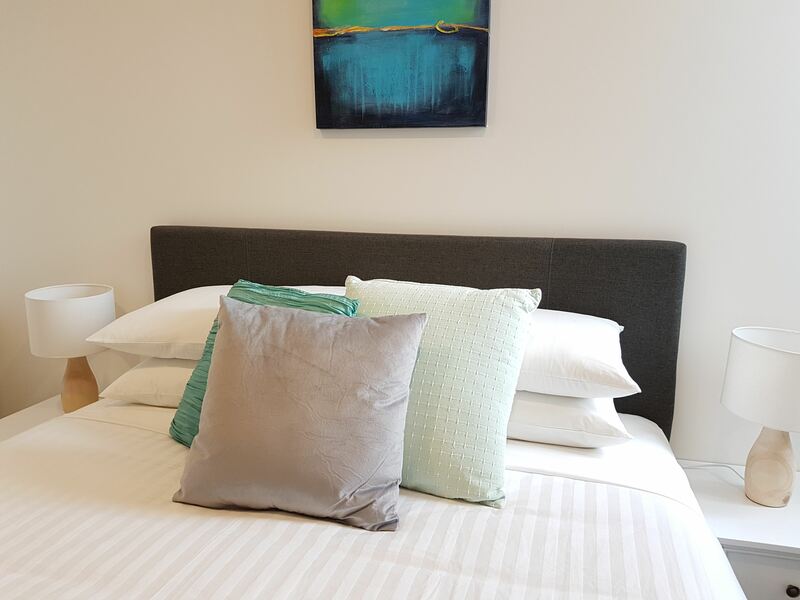 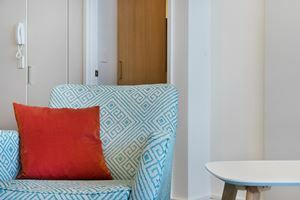 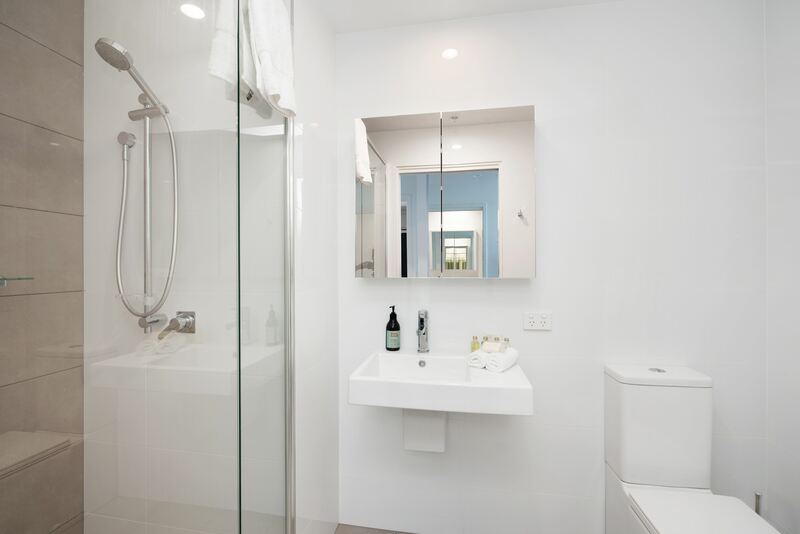 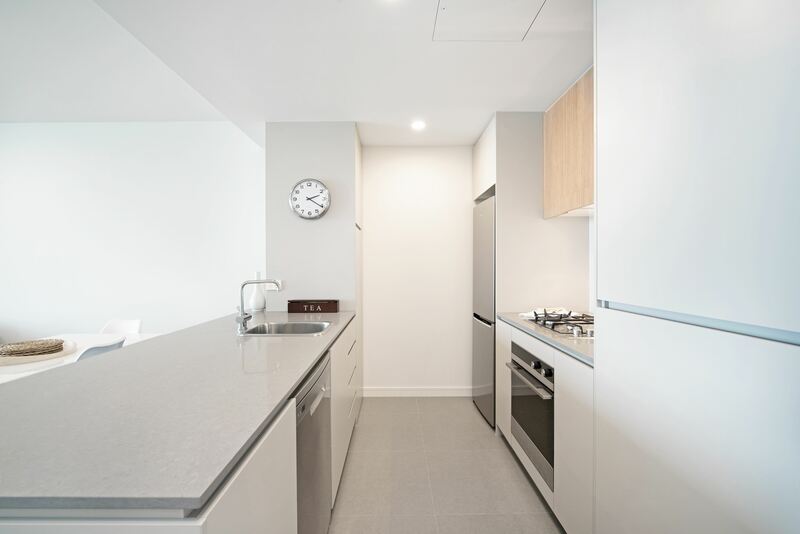 This new apartment is tastefully furnished and fully equipped to ensure a comfortable and memorable stay. 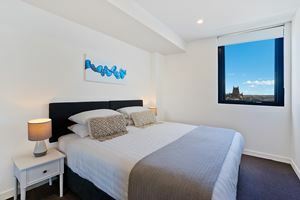 Horizon 2 Bedroom Apartment comfortably sleeps 4 guests with a king size bed in the main bedroom and a queen size bed in the second bedroom. 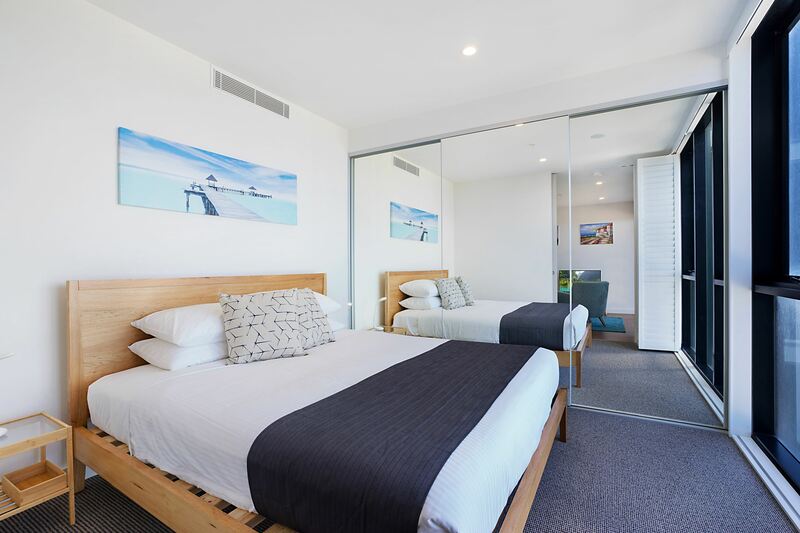 The main bedroom can optionally be configured with two single size beds if required. 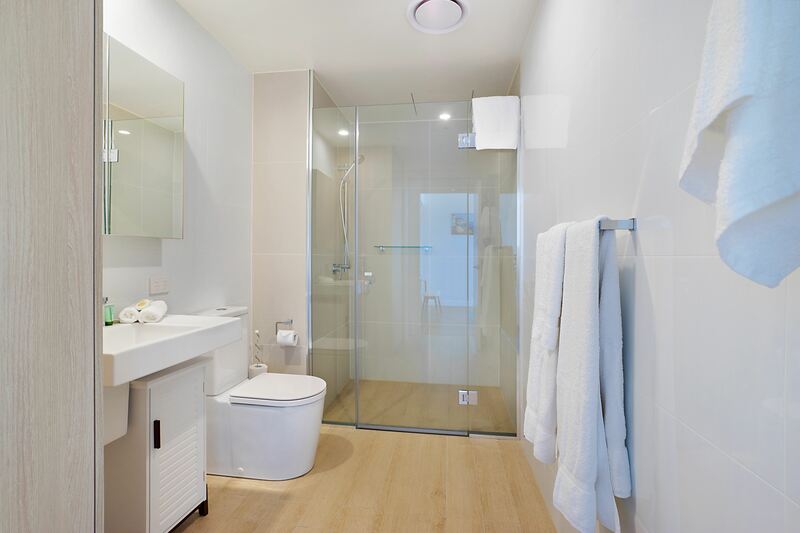 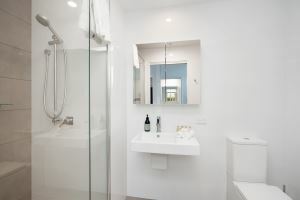 The main bedroom has a private ensuite with vanity and toilet. 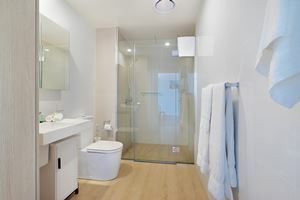 A second bathroom is also provided. 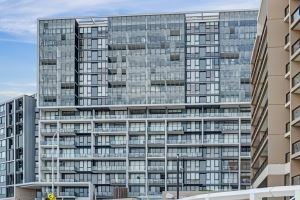 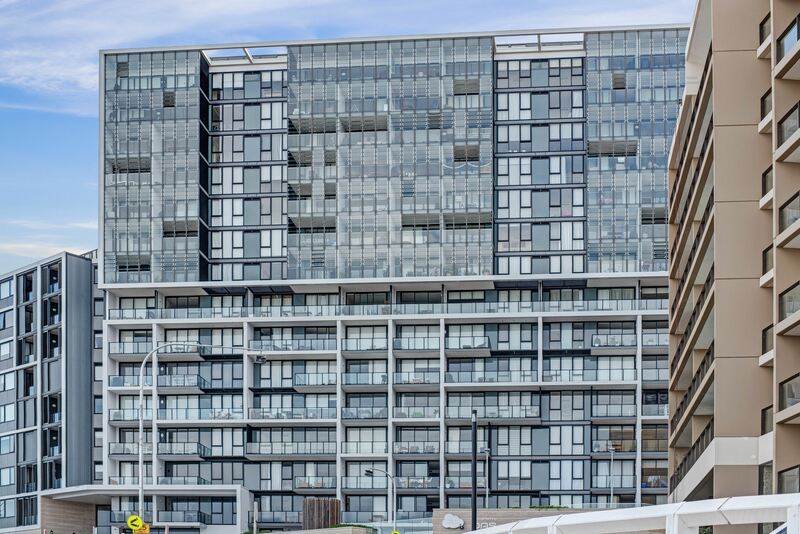 The apartment has reverse cycle air conditioning to ensure your year round comfort. 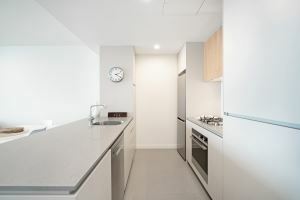 The kitchen provides all the modern conveniences for your stay, including a dish washer, stove, full size refrigerator and microwave. A fully equipped cupboard laundry is also provided. 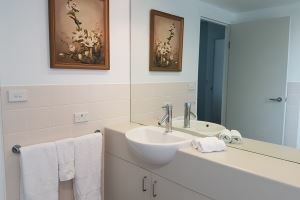 Flat screen television, DVD player and complimentary WiFi Internet are included. 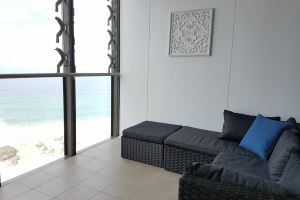 The protected balcony provides an additional seating area and gas BBQ. 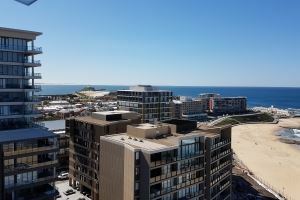 Secure parking is also provide for a single vehicle (note that 2.2 meter height restrictions do apply). 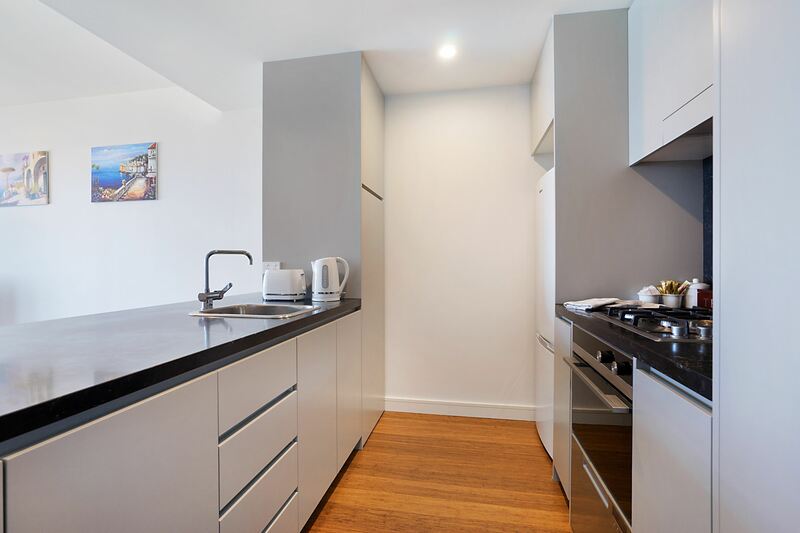 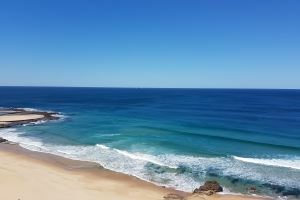 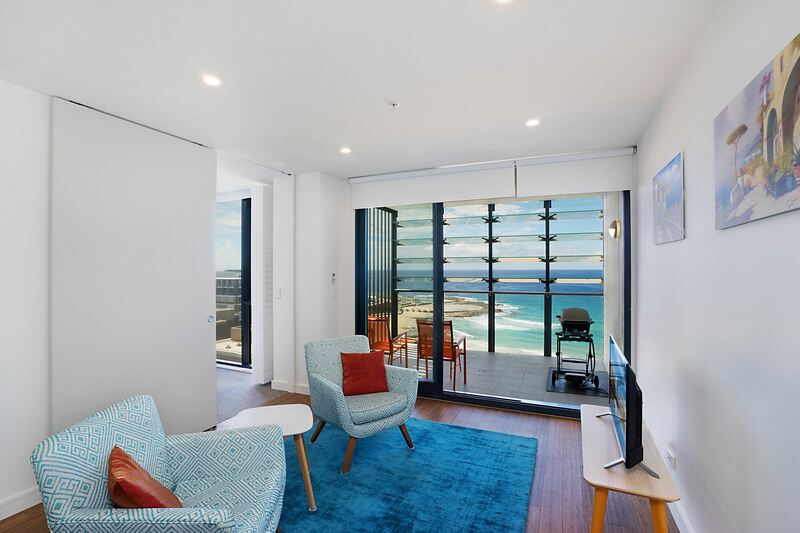 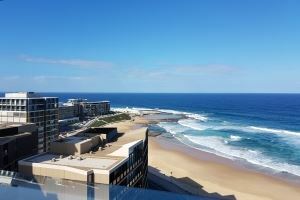 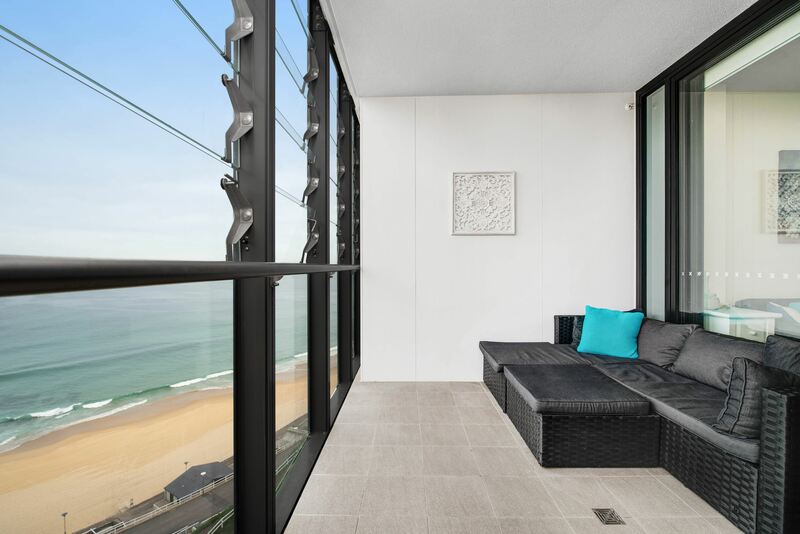 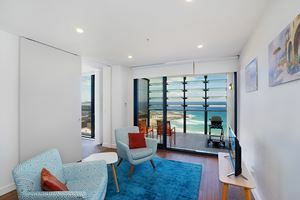 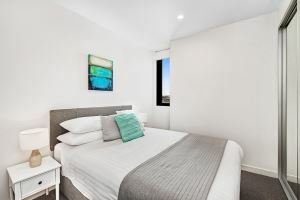 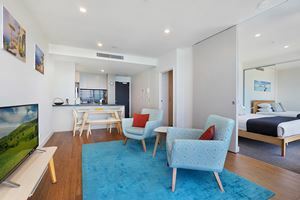 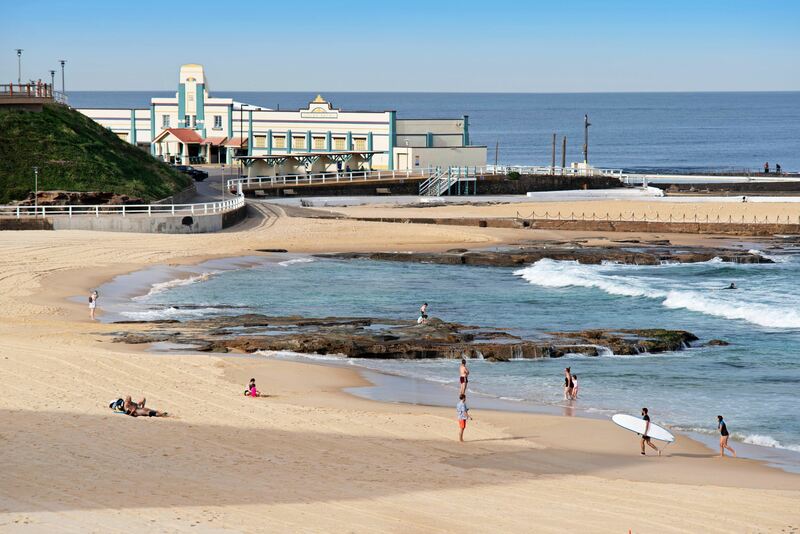 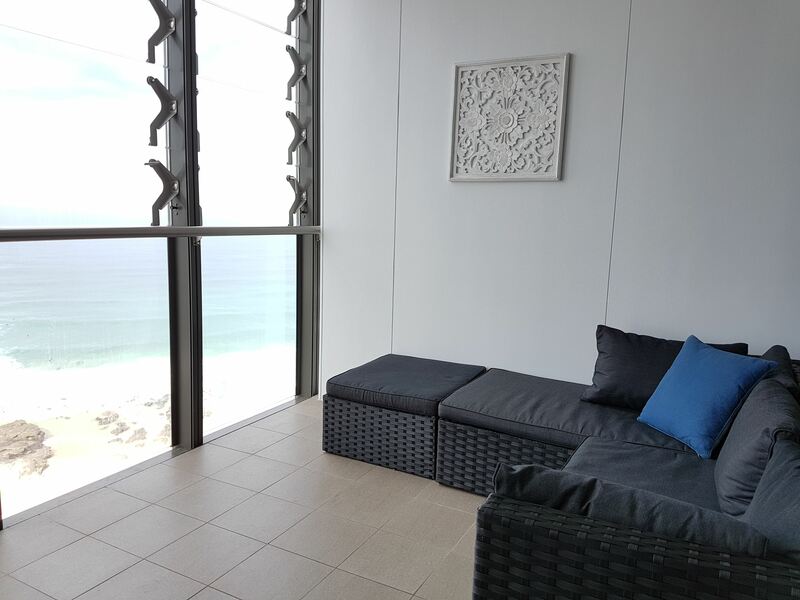 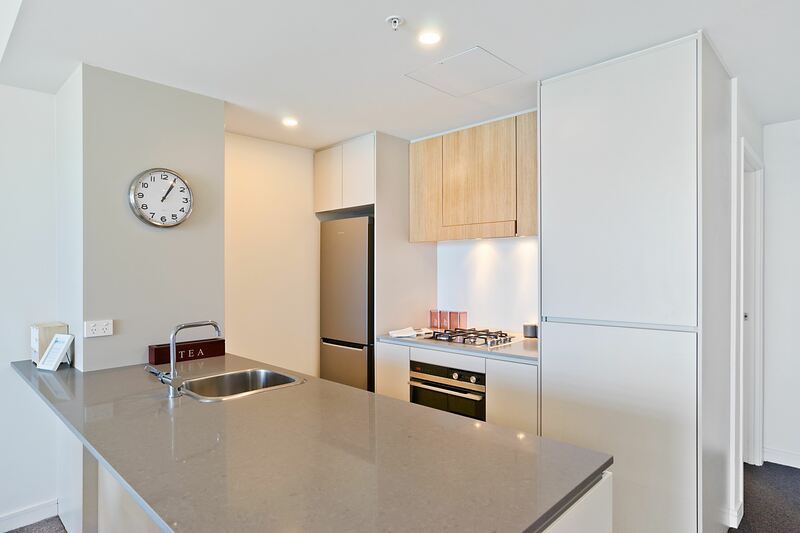 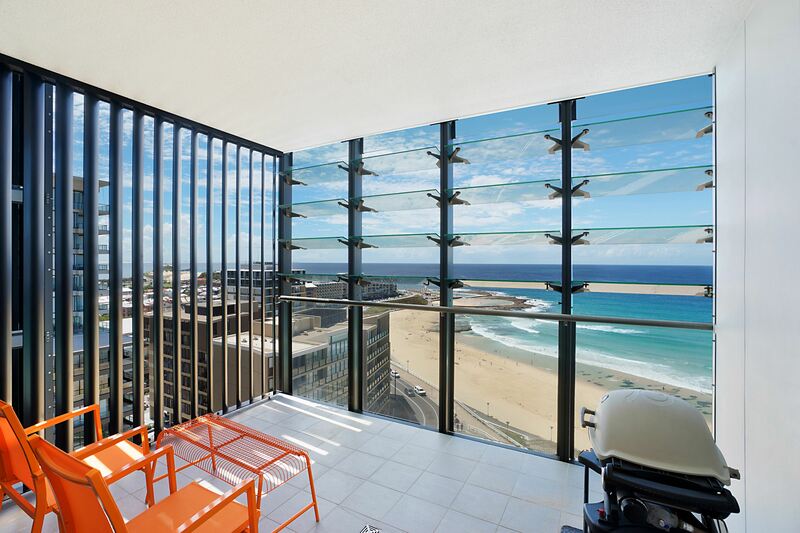 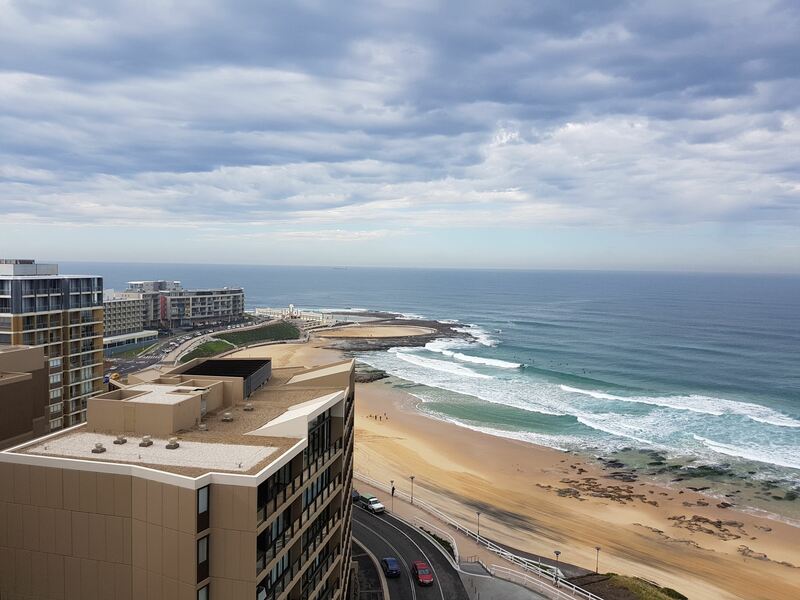 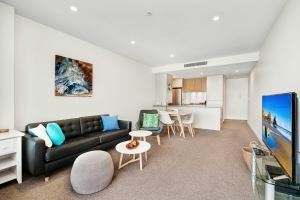 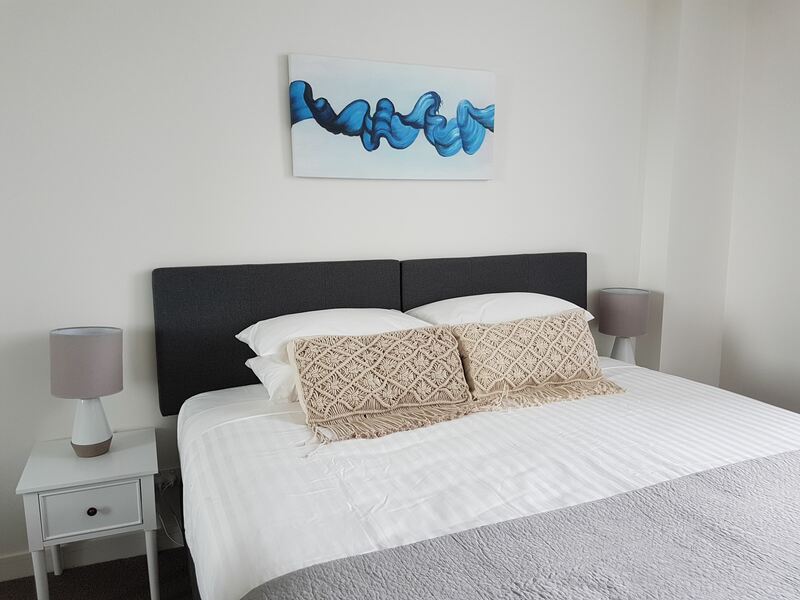 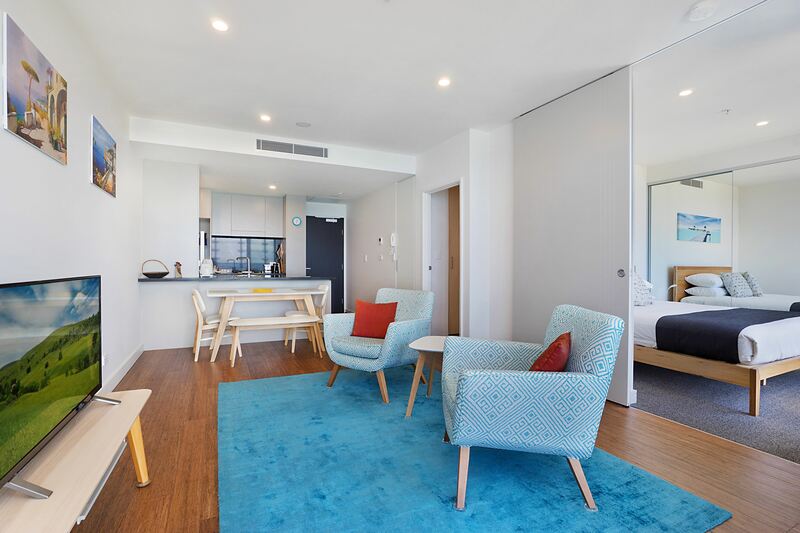 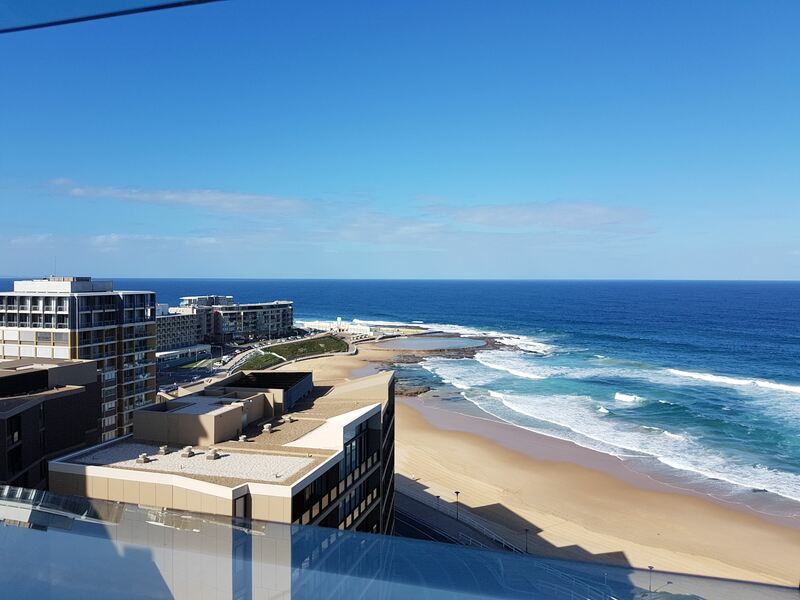 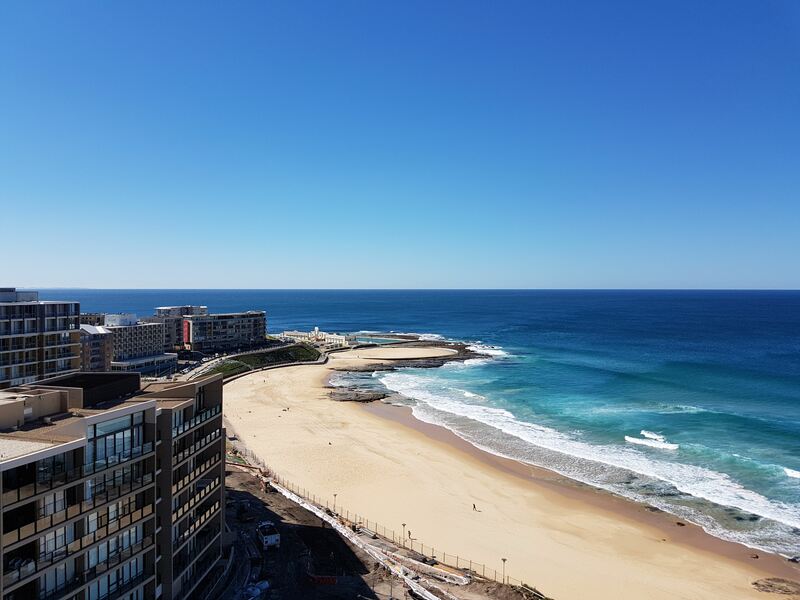 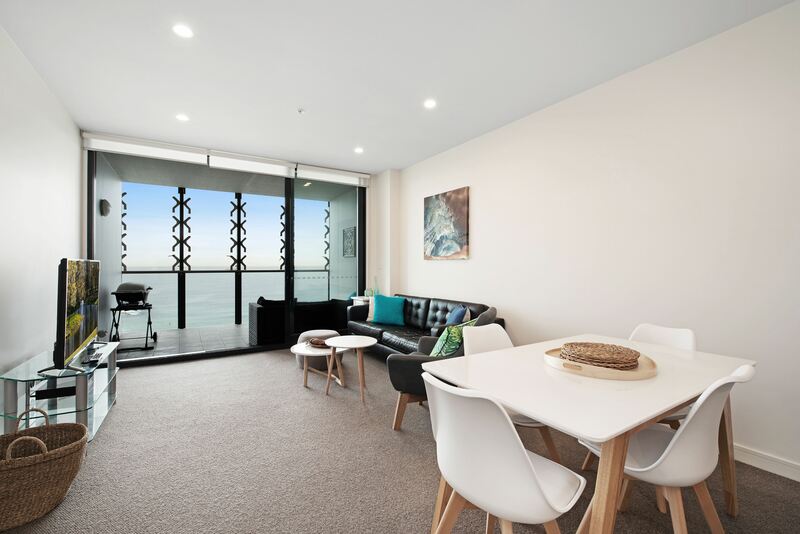 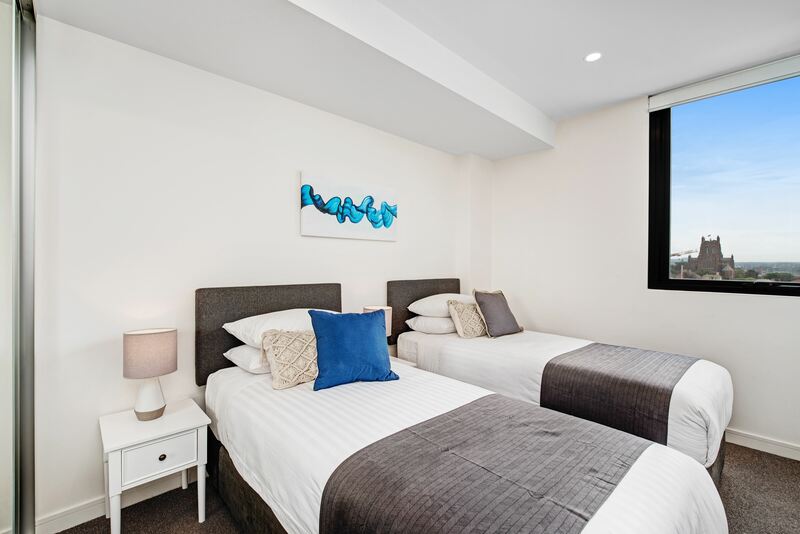 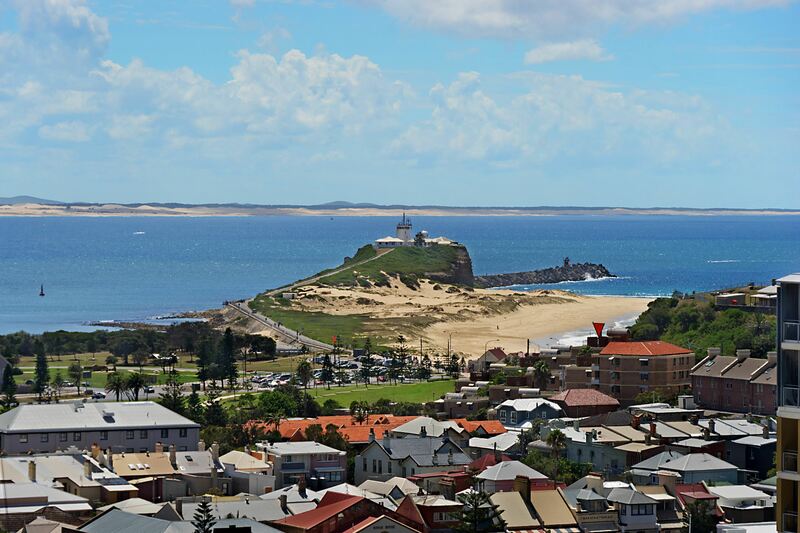 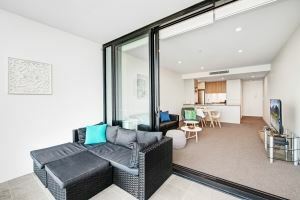 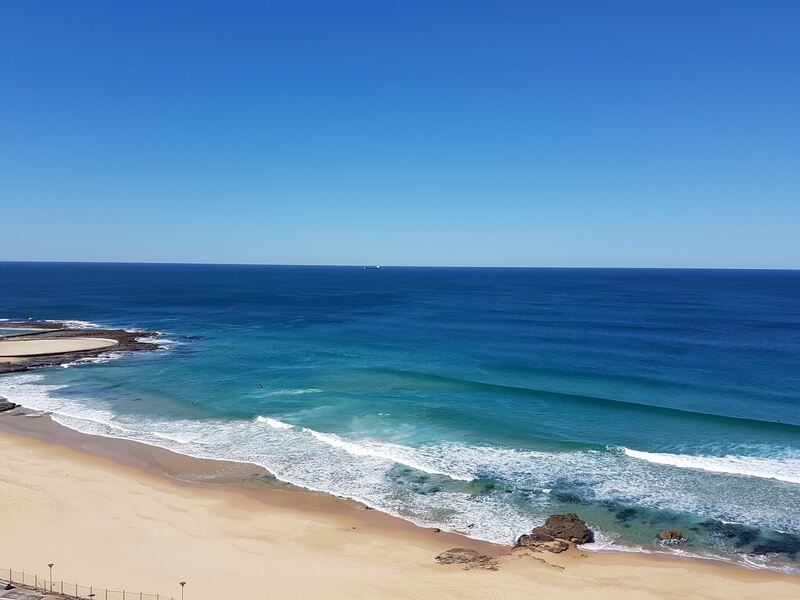 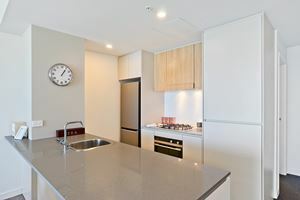 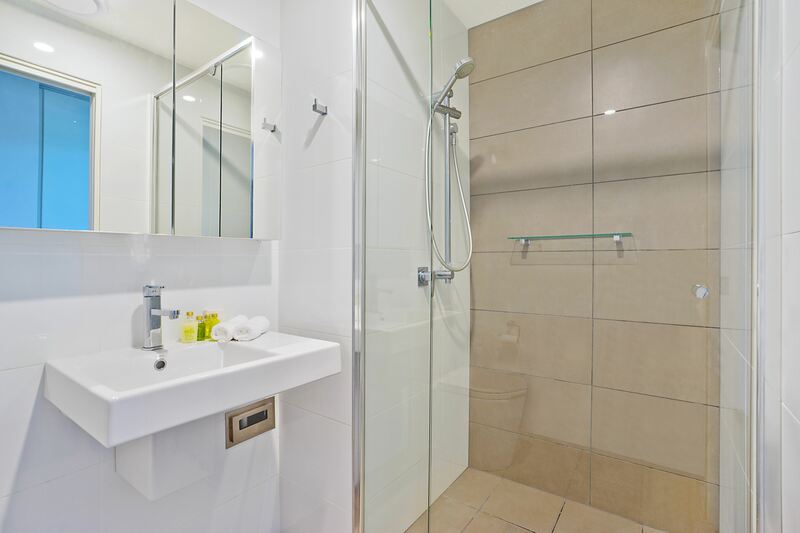 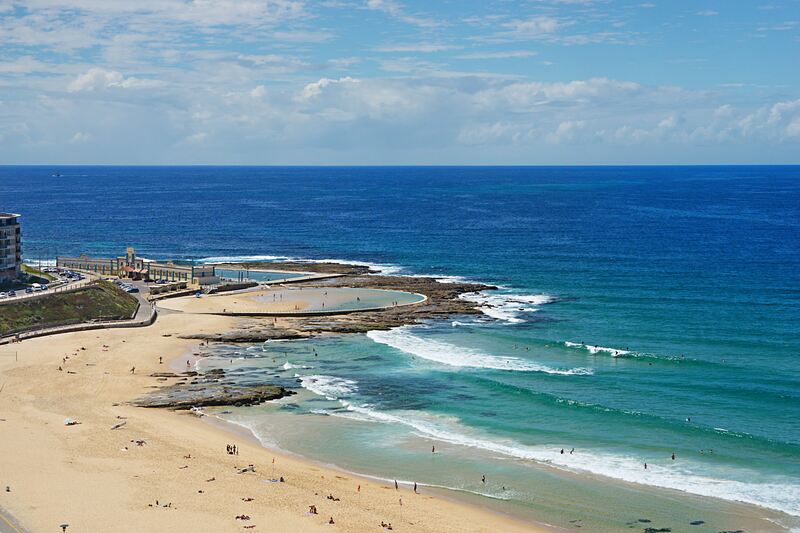 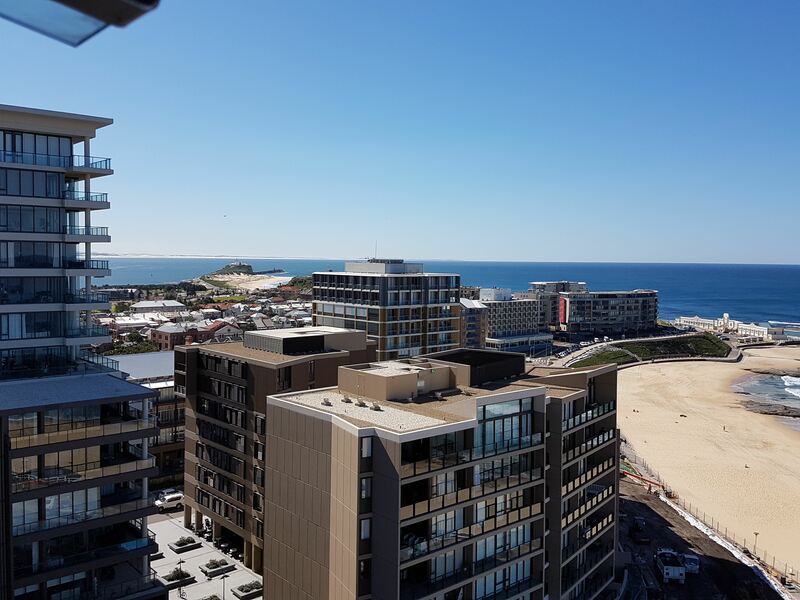 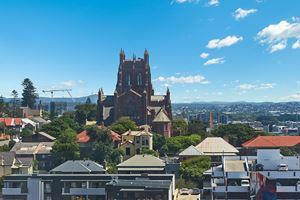 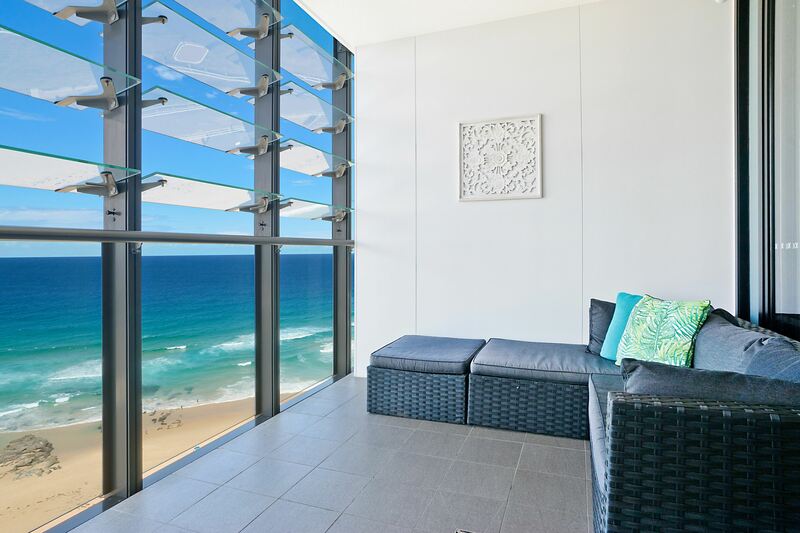 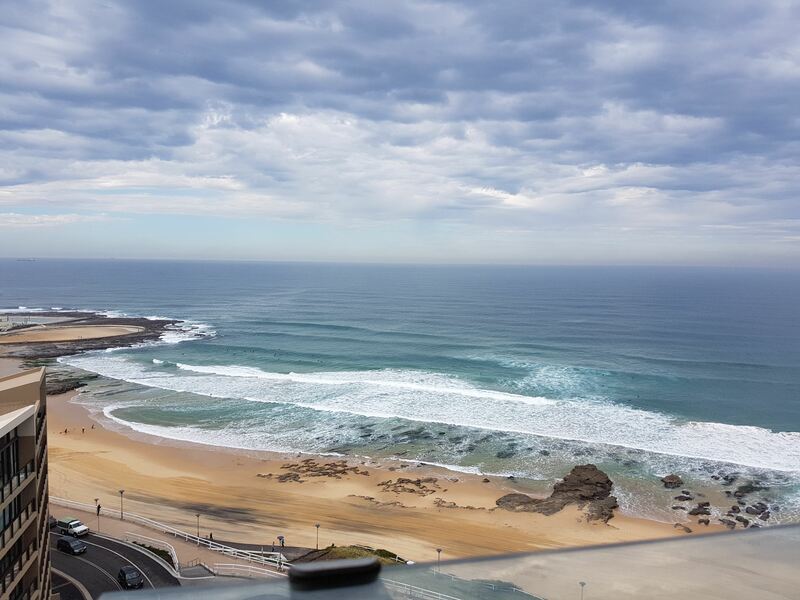 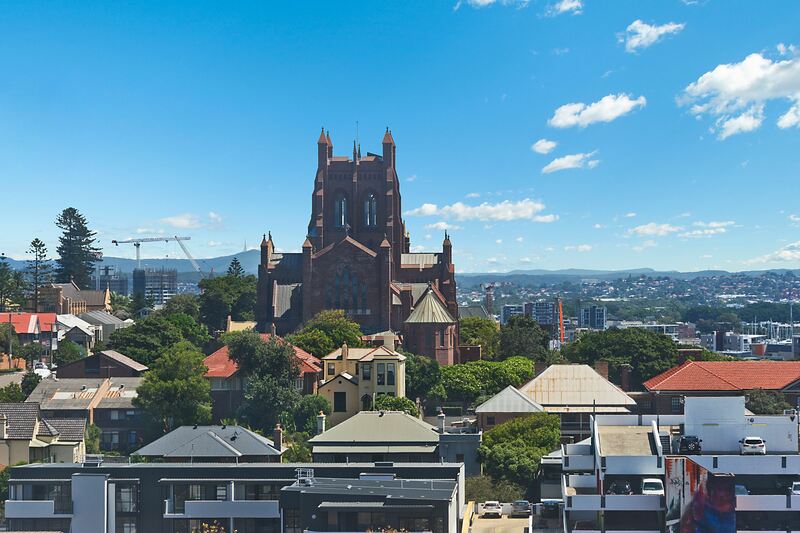 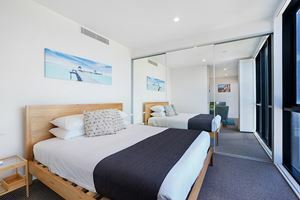 Horizon 1 Bedroom Apartment is on the 10th floor overlooking the beautiful Newcastle Beach. 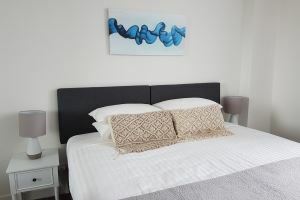 This new apartment is tastefully furnished and fully equipped to ensure a comfortable and memorable stay. Horizon 1 Bedroom Apartment comfortably sleeps 2 guests with a king size bed in a separate bedroom. 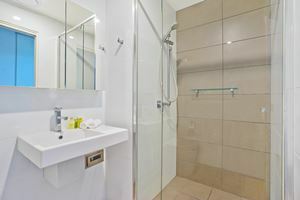 The bedroom has a shower with vanity and toilet.